These chips are pretty rare. They came in a set that contained 20 Hulks, 20 Wolverines and 40 Spideys. They came and went pretty fast because the company that made them went bankrupt after releasing the first shipment. There are said to only be about 200 sets released – meaning there are about 4000 chips out there. That’s pretty cool – because 2 of them reside with me! 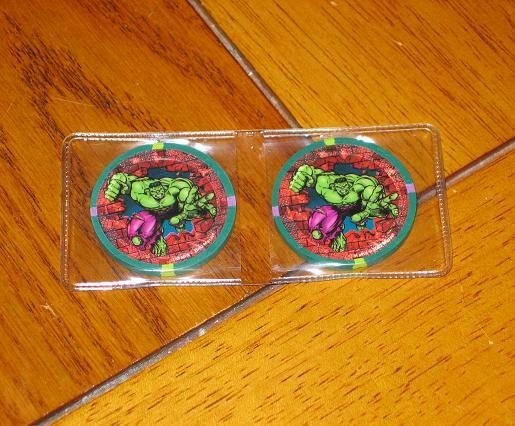 This entry was posted in Green Hulk, Hulk Other Stuff and tagged 2002, Hulk Poker Chip. Bookmark the permalink.